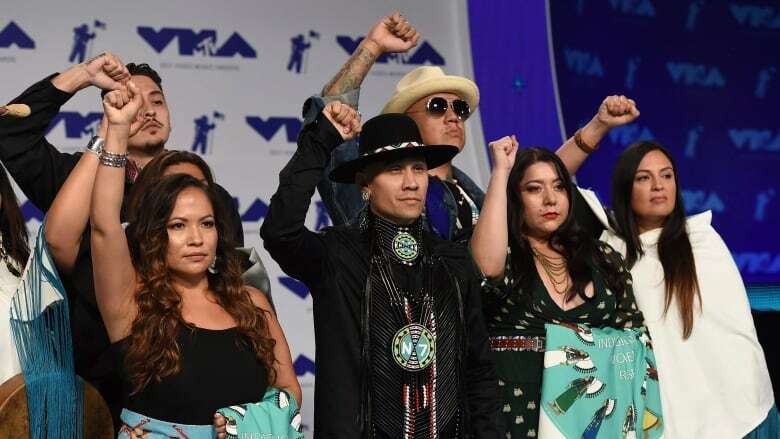 An all-Indigenous group comprised of seven hip-hop artists are celebrating after winning an MTV VMA award for their collaboration on Stand Up/Standing Rock #NoDAPL. MTV awarded all six entrants in the category "Best Fight Against the System" at Sunday's music video awards in Los Angeles — a move that was in honour of the victims of the Charlottesville riots, including Heather Heyer, who was killed. Saskatoon native Jerimiah Manitopyes (aka Drezus), a member of the Mag7 group behind the Standing Rock video, said it was an "unbelievable experience to win." "It was a trip because I didn't think we would win," said Manitopyes. "When we got word it was breathtaking — a surreal feeling. We're the first Native American hip-hop group to win an MVA!" The Mag7 group, headed by Black Eyed Peas' rapper Taboo, recorded the song and produced the video in 2016 to raise awareness about Indigenous resistance to the Dakota Access Pipeline (DAPL). "Standing Rock is everywhere and we will continue to spread the message of standing up for Indigenous Peoples equal rights," Taboo said in a statement to CBC News. "It's a blessing as a native and as a leader in our community to watch these amazing artists shine and be acknowledged for all their individual hard work and their amazing efforts to inspire the youth to hold on to their dreams and aspirations," he wrote. "Drezus is the future of hip-hop music and I'm blessed to have him part of the unit — we have a lot more in store." Prophecy of long past is being fulfilled, explained Manitopyes, and the world is looking to Indigenous Peoples for answers amidst living in uncertain times. "I've heard of prophecies saying we'll [natives] come back into the light through the arts. I think that as the world becomes more aware of its problems they start to realize that native people have always been on the right path as far as spirituality. I think they're naturally looking in our direction. 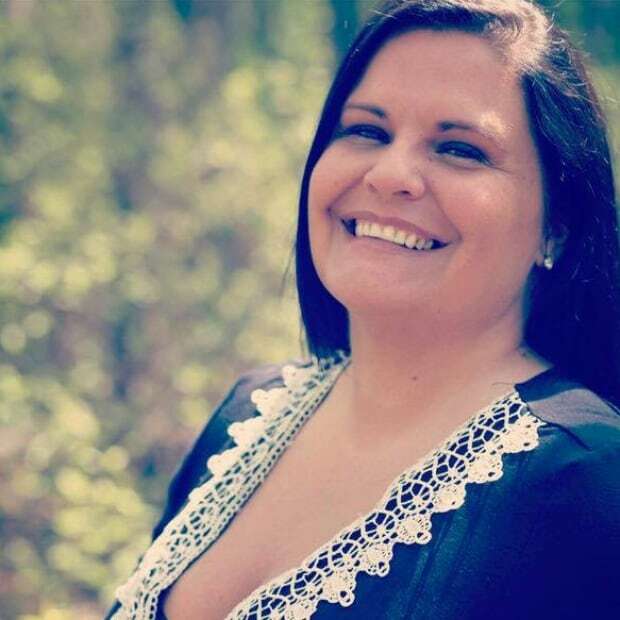 "Native people have always been so talented and creative, now that we're starting to heal from our mistreatment we're starting to become more confident- all of sudden we have this platform and look at what good we can go." In less than 24 hours, L.A.-based Indigenous label Zapanta created a custom denim jacket for Drezus to wear on the red carpet that featured symbols of Indigenous resistance and Missing and Murdered Indigenous Women and Girls (MMIWG). Manitopyes said he knew it was an opportunity for the causes to get exposure to a global audience. "I wanted to represent the people, the resistance and the female spirit," he said. "And for kids, hip-hop is the number one selling music in the world, so people are tuning into that. I have a responsibility to take them [youth with me in spirit] where we haven't been before, like the MTV awards." Excited for the MTV "Moon Man" statue award to arrive at his home in Calgary over the next few weeks, Manitopyes said he plans to "smudge it up" and keep it safe. Other artists in Mag7 include Marcus "EmceeOne" Guinn, Supaman, Doc Battiest, PJ Vegas and Natalia "MyVerse." Manitopyes is the only Indigenous Canadian in the group. Mag7 plans to record more music together down the road, but in the meantime, each of the artists are focusing on expanding their individual careers. Drezus is finishing up his latest album Public Enemy, due to be released this fall.